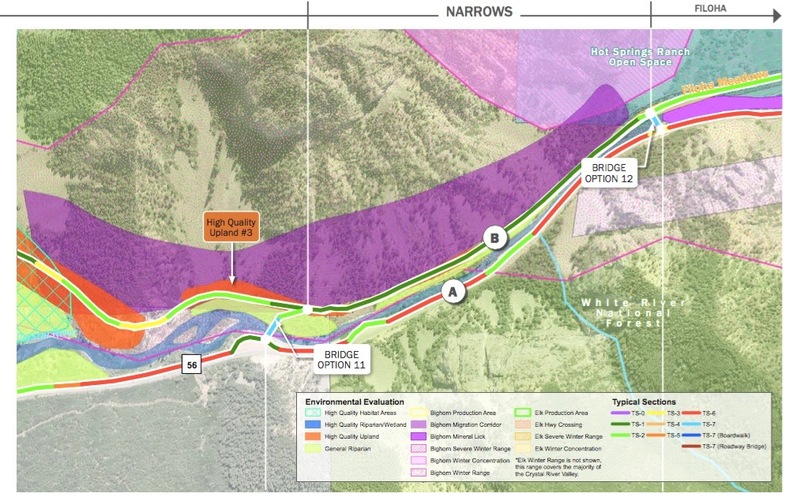 This image from the Carbondale to Crested Butte Trail Plan shows proposed Trail Alignments A and B and two options for bridges through the Narrows section. Some residents and groups are opposed to building new bridges because they say it could impact the health of the Crystal River. 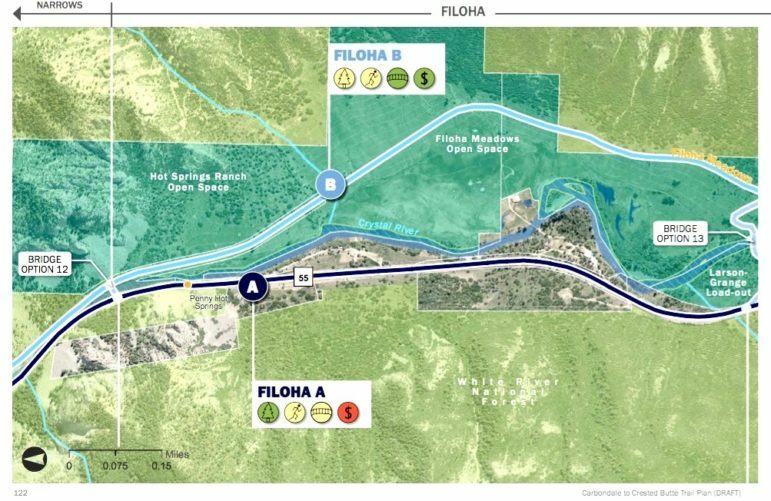 This image from the Carbondale to Crested Butte Trail Plan shows the proposed Alignments A and B through Filoha Meadows Open Space. Some residents and groups are opposed to Alignment B because they say it could impact the health of the Crystal River more than Alignment A, which follows the highway corridor. The Crystal River. 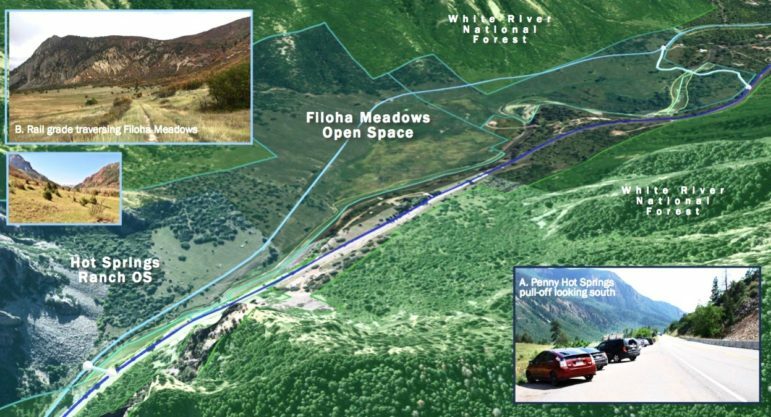 A nearly 300-page preliminary plan for 20-mile stretch of potential trail from outside Carbondale to McClure pass is diced into many sections, each proposed to be phased in over the next two decades. 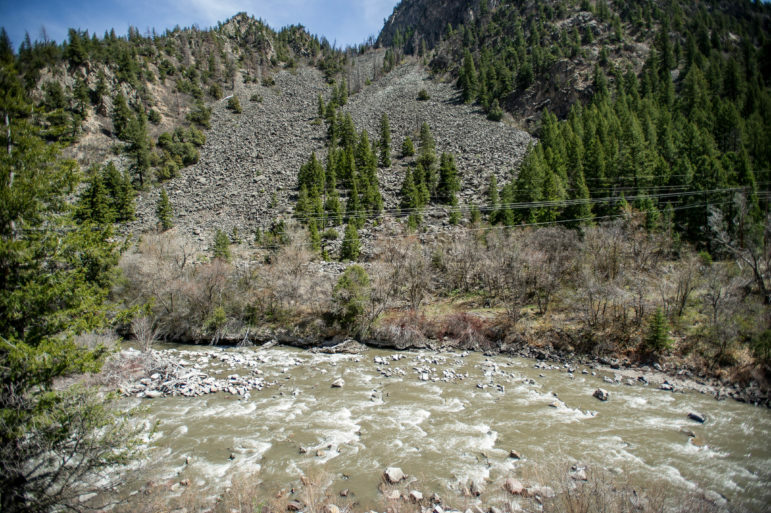 Editor’s note: Aspen Journalism is collaborating on coverage of the Roaring Fork and Colorado rivers. The Glenwood Springs Post Independent published this story on Wednesday, August 15, 2018.